Stem gall (Protomyces macrosporus Unger), a serious disease that affects leaves, petioles, stems and fruits of coriander (Coriandrum sativum L.) causing heavy loss in yield. 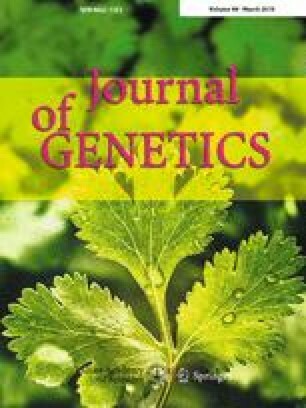 Genetic improvement of coriander for stem gall disease is indispensable. Coriander cultivars of stem gall resistance (ACr-1) and susceptible (CS-6) leaf samples were utilized and transcriptome sequenced using Illumina NextSeq500 platform. After trimming low-quality reads and adapter sequences, a total of 49,163,108 and 43,746,120 high-quality reads were retained and further assembly resulted validated transcripts of 59,933 and 56,861. We have predicted 52,506 and 48,858 coding sequences (CDS) of which 50,506 and 46,945 were annotated using NCBI nr database. Gene ontology analysis annotated 19,099 and 17,625 terms; pathway analysis obtained 24 different functional pathway categories; signal transduction, transport, catabolism, translation and carbohydrate metabolism pathways etc. were dominated. Differentially expressed genes analysis predicted 13,123 CDS commonly expressed of which 431 and 400 genes were significantly upregulated and downregulated, respectively, in which R genes, stress inducible transcription factors such as ERF, NAC, bZIP, MYB, DREB and WRKY and antifungal related genes were predicted. The real-time PCR analysis of HSP20 gene expression in resistance showed upregulation by 10-fold over susceptible sample and 18s used as a housekeeping gene for normalization. The present results provide an insights into various aspects underlying the development of resistance to stem gall in coriander. SC conceived theme of the study. RS, RDM and RS Performed the experiments and collected samples. MBNN and SC analysed the data and drafted the manuscript. GL, RS, RDM and RS edited the manuscript. All authors read and approved the final manuscript. The online version of this article ( https://doi.org/10.1007/s12041-019-1064-7) contains supplementary material, which is available to authorized users. We thank Dr Gopal Lal, Director, NRCSS for timely support and encouragement during the research work. The research is supported by the ICAR-NRC on Seed Spices, Ajmer, Rajasthan, India. SC, RS, RDM, GL thank ICAR-NRC on Seed Spices, Ajmer for providing all the facilities. MBNN thank UHS, Bagalkot for infrastructure facilities.